HLAA-SLC has put together a book club which will alternate with our regular meetings. 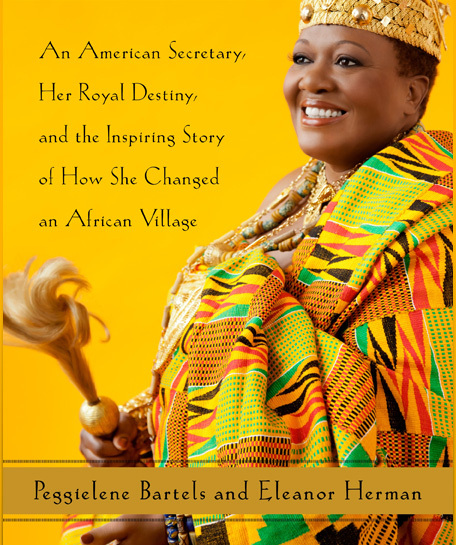 Last month’s selection was King Peggy: An American Secretary, Her Royal Destiny and the Inspiring Story of How She Changed an African Village by Peggilene Bartels and Eleanor Herman. We met last Saturday to discuss this delightful book, rich with tradition and scenery. We all enjoyed reading it sharing links and information from online. Thank you Kathy for sharing this book with us. 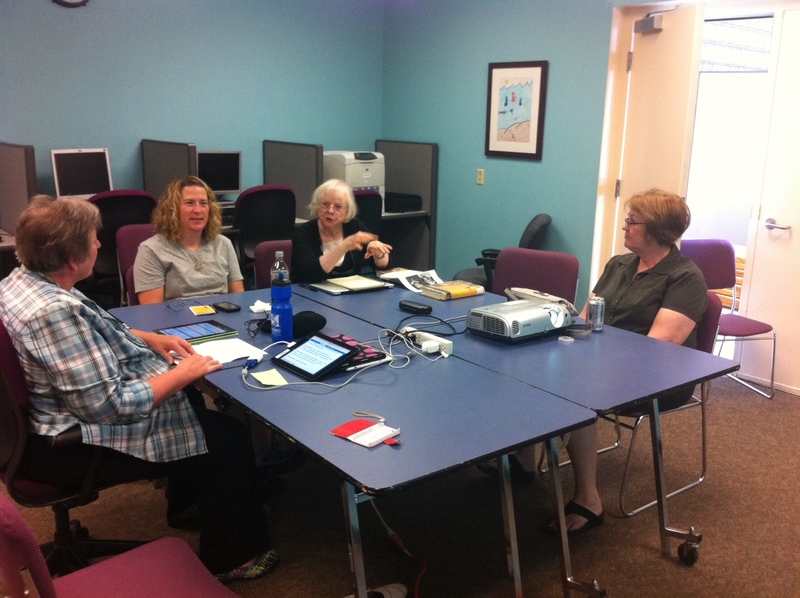 The meeting was captioned (thank you Sanderson Center!) by TypeWell who did a great job as a few us depend on those captions. That’s what makes this book club so great, the accessibility for those of who are hard of hearing and hesitant to join other book club for fear of missing out on discussion. 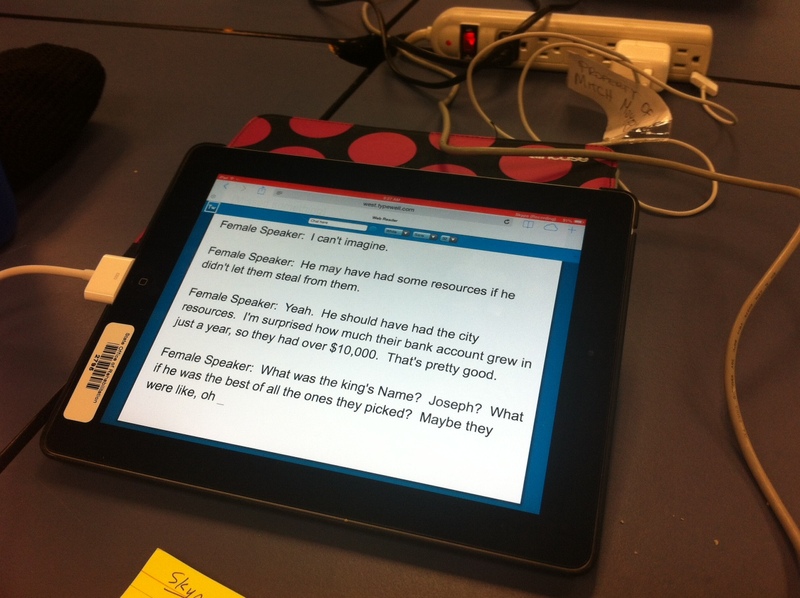 You can see the tablet on the table which picked up the captions. The captions were also projected onto a screen on the wall also. The tablet and TypeWell supplying our captions. 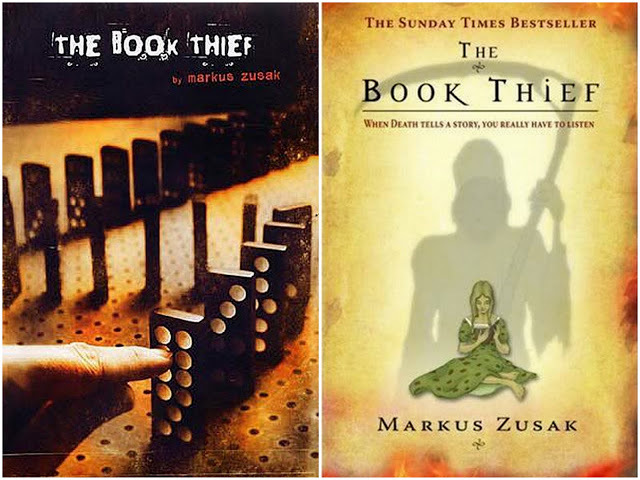 Our next book is The Book Thief by Markus Zusak. We meet on October 11th from 9a-10:30a at the Sanderson Center for the Deaf and Hard of Hearing in Taylorsville. Feel free to join us, it will be held in the looped room next time too! Questions will follow as the date gets closer. Our book social is coming up on June 7th at the Sanderson in the conference room from 9am-10:30. 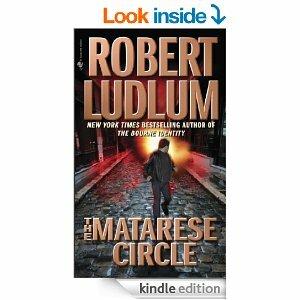 We’ve been enjoying our book chats and this time will be going over Robert Ludlum’s Matarese Circle. I was able to pick up my copy at the county library near my house last week. We have CART scheduled. If you’re a reader join us, even if you didn’t get to the finish the book. The questions Helen comes up with makes us think and our discussions engaging. We hope to see you there. along the way, or do plot events unfold naturally, organically? inner lives? Does it make a difference to your enjoyment? given the circumstances he finds himself in? those movies somewhat unrealistic at times? that would prevent it from being a suspenseful film? and then Bradford the next almost throughout the book? – Did you expect it or were you surprised? Was it manipulative? the story unresolved, ending on an ambiguous note? you find the ending satisfying? Why or why not. facilitate the establishment of authoritarian rule? supposed support of Bradford’s disclosures? consider reading it after reading this book? central dilemma of the book?